3.3 out of 5 based on 18 bloggers and 2 commenters. 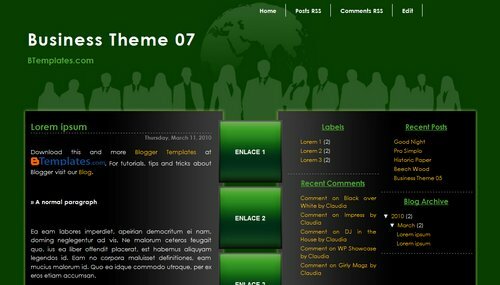 Business Theme 07 is a free blogger template with 3 columns and right sidebar. Author: Blogs Made in Spain.